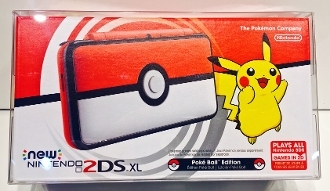 1 custom made box protector for 2DS XL! These fit all the 2DS versions out there that we have seen. If you have any that may be different that the rest please let us know. This fits the NTSC sizes perfectly but will not work with PAL versions most likely.